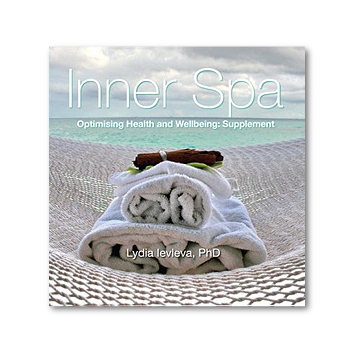 Mobilize your inner resources for optimal health, well-being and success. and life affirming ways of being, to unlocking your true potential and flourishing. Optimal well-being and performance is a choice. Flow rather than fight, flee or freeze. Unacknowledged and unresolved issues from our past will tend to manifest in the body physically, as well as in maladaptive patterns of behaviour, over-compensation tendencies, and emotional over-reactions and instability. Too often early warning signs go ignored as we go about our business from day to day. This is especially the case with high achievers who are (too) good at pushing themselves beyond the brink. It is said: first we get a whisper in the ear (tension and distress), then a tap on the shoulder (pain and discomfort), and if still unheeded, a knock on the head! i.e. health disorders ranging from injuries and the flu, to more life threatening diseases; not to mention other major disruptions to our lives, such as divorce, loss of productivity or job. It can, therefore, be helpful to explore the sources of issues as an mental/emotional detox: Trace back to past patterns; accept what needs to be faced in order to then erase the hold the past may have on you; and embrace the lessons and potential for moving forward in your best interests more efficiently. It is also beneficial to acknowledge and capitalize on one’s personal assets and strengths. That is, to focus on what is right with you, instead of what is wrong. In fact, most people’s weaknesses are merely their strengths out of control. Once this is better understood, one can feel more in control over themselves and their lives. It’s not just about shrinking problems, but about stretching capacity for optimal health, well-being and success and cultivating mental/emotional tonics. Creating lasting change and well-being requires more than just the will to succeed. It requires the way that works, and is sustainable over time. Research advances on applying positive psychology strategies are leading the way to supporting methods for creating greater resilience and psychological well-being that are associated with better health and longevity (Diener & Chan, 2011; Kobau, et al., 2011; Kok, et al., 2013; Layous, Chancellor, & Lyubomirsky, 2014). 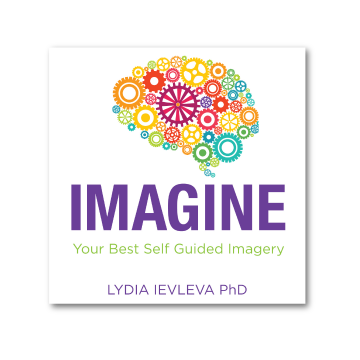 One of the most potent inner mental resources for accelerating and sustaining change are your mental images. Latest developments in neuroscience and positive psychology have demonstrated that drawing on your imagination with the practice of positive mental imagery is a far more powerful technique in boosting emotional wellbeing than standard CBT (Cognitive Behavioral Techniques). That is, the reach of mental imagery extends far beyond words, and is the major portal of your brain for transformation and neuroplasticity (Blackwell, et al., 2013; Ganis, Thompson, & Kosslyn, 2004; Hackman, Bennett-Levy, & Holmes, 2012; Homes & Mathews, 2010; Layous, Nelson, & Lyubomirsky, 2013). 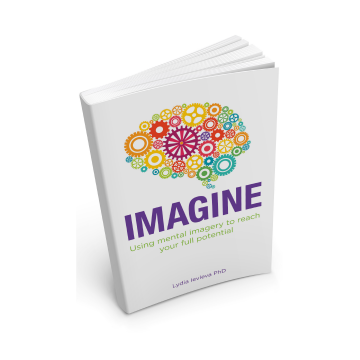 Your imagination, therefore, is one of the most powerful inner mental resources for self-development. It is especially effective for facilitating and accelerating change – whether adapting to change, or changing patterns of how you think, act (and react), and feel. If you would prefer to be more in control over your destiny, and less victim to bad habits, worries and fears or conditioning, then taking better control over the images of your mind will lead the way. Blackwell, S. E., Rius-Ottenheim, N., Schulte-van Maaren, Y. W. M., Carlier, I. V. E., Middelkoop, V. D., Zitman, F. G., Spinhoven, P., Holmes, E. A., & Giltay, E. J. (2013). Optimism and mental imagery: A possible cognitive marker to promote well-being? Psychiatry Research, 206, 56-61. Diener, E., & Chan, M. (2011). Happy People Live Longer: Subjective Well-Being Contributes to Health and Longevity. Applied Psychology: Health and Well-Being. 3 (1), 1–43. Ganis, G., Thompson, W., Kosslyn, S.M. (2004). Brain areas underlying visual mental imagery and visual perception: an fMRI study. Cognitive Brain Research, 20, 226-241. Hackman, A., Bennett-Levy, J., & Holmes, E. (2012). Oxford Guide to Imagery in Cognitive Therapy (Oxford Guides in Cognitive Behavioural Therapy). London: Oxford University Press. Holmes, E.A., & Mathews, A. (2010). Mental imagery in emotion and emotional disorders. Clinical Psychology Review, 30, 349-362. Kobau, B., Seligman, M., Peterson, C., Diener, E., Zack, M., Chapman, D., & Thompson, W. (2011). Mental Health Promotion in Public Health: Perspectives and Strategies From Positive Psychology.American Journal of Public Health, 101, e1-9. Kok. B.E., Coffey, K.A., Cohn, M.A., Catalino, L.I., Vacharkulksemsuk, T., Algoe, S.B., Brantley, M., & Fredrickson, B.L. (2013). How Positive Emotions Build Physical Health: Perceived Positive Social Connections Account for the Upward Spiral Between Positive Emotions and Vagal Tone. Psychological Science, 24(5), 1123-1132. Layous, K., Nelson, S. K., & Lyubomirsky, S. (2013). What is the optimal way to deliver a positive activity intervention? The case of writing about one’s best possible selves. Journal of Happiness Studies, 14, 635-654.